We play a trivia app while Hoss drives. I read the next question: "Which character was NOT in the movie 'Rocky'? Paulie, Stanley, Adrian, or Mickey?" I thought for a (very brief) second and said "Was the transvestite's name 'Stanley'?" After he recovered, he laughed so hard that he cried. 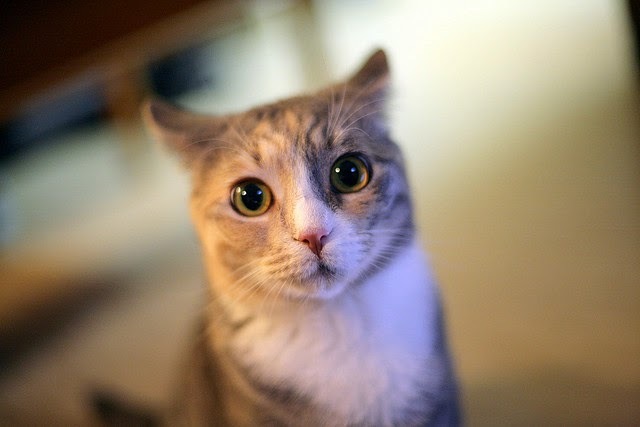 I googled the pic via a search on "astonished cat", I think. It's exactly how he looked, for a split second, searching his memory for ANY reference whatsoever to a transvestite in such a manly classic.